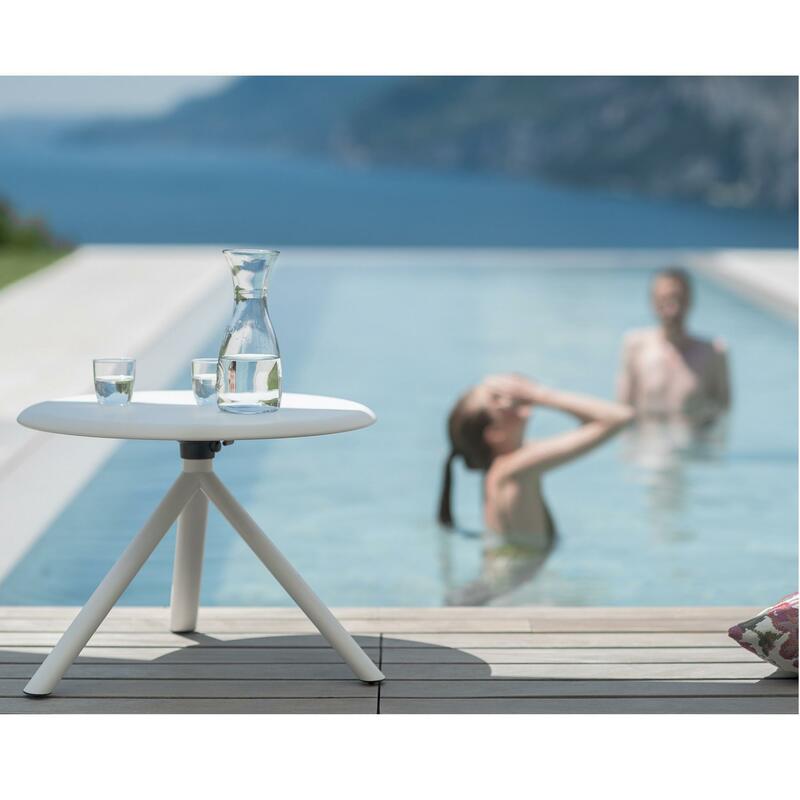 The MIURA Round Coffee Table by PLANK is the perfect table for professional or residential spaces for both indoor and outdoor use. 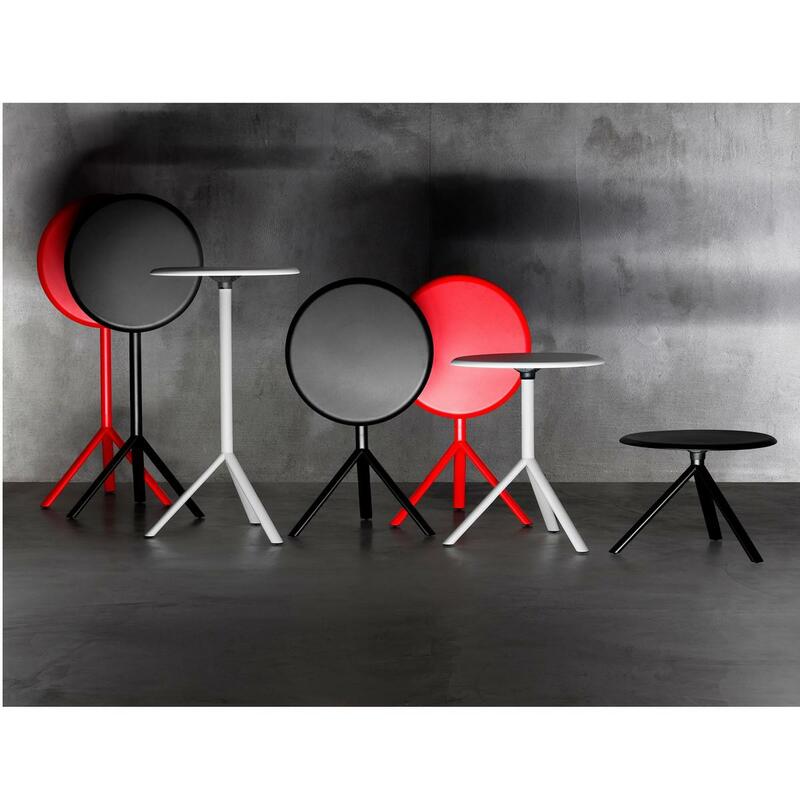 MIURA is a three legged table system with structure and top in powder coated metal available in a variety of colors and two sizes in diameter: 60 cm and 70 cm. 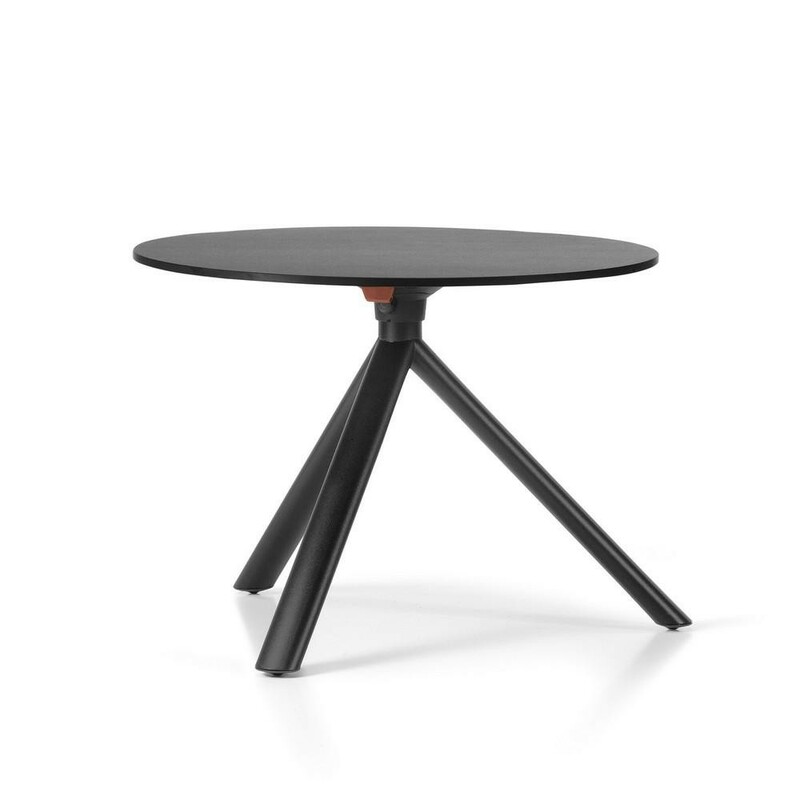 MIURA round coffee table features a folding table top for easy storing and stacking. 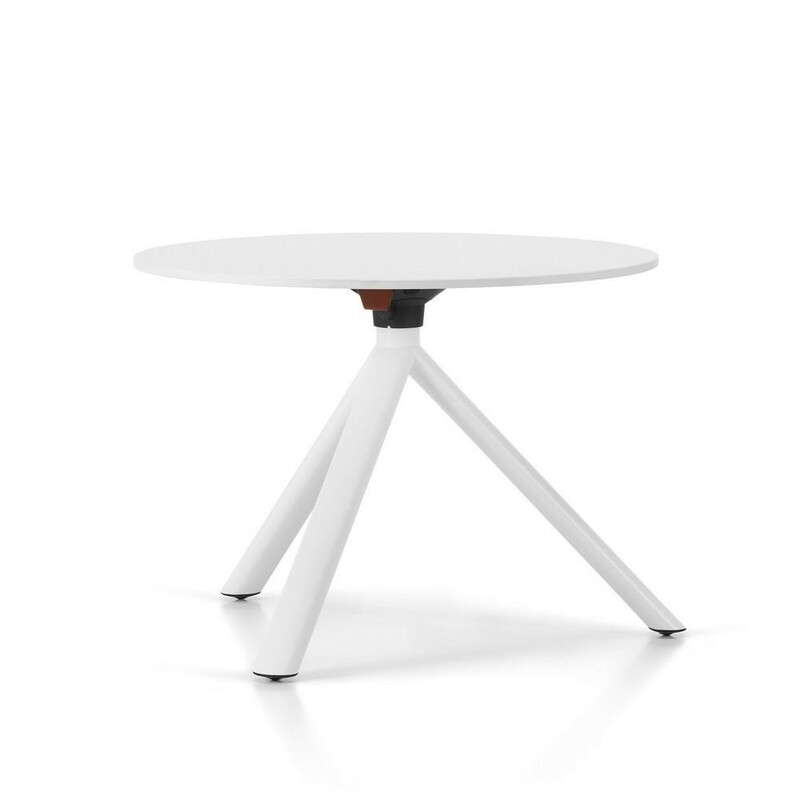 The table can be stacked by folding the top into a vertical position. 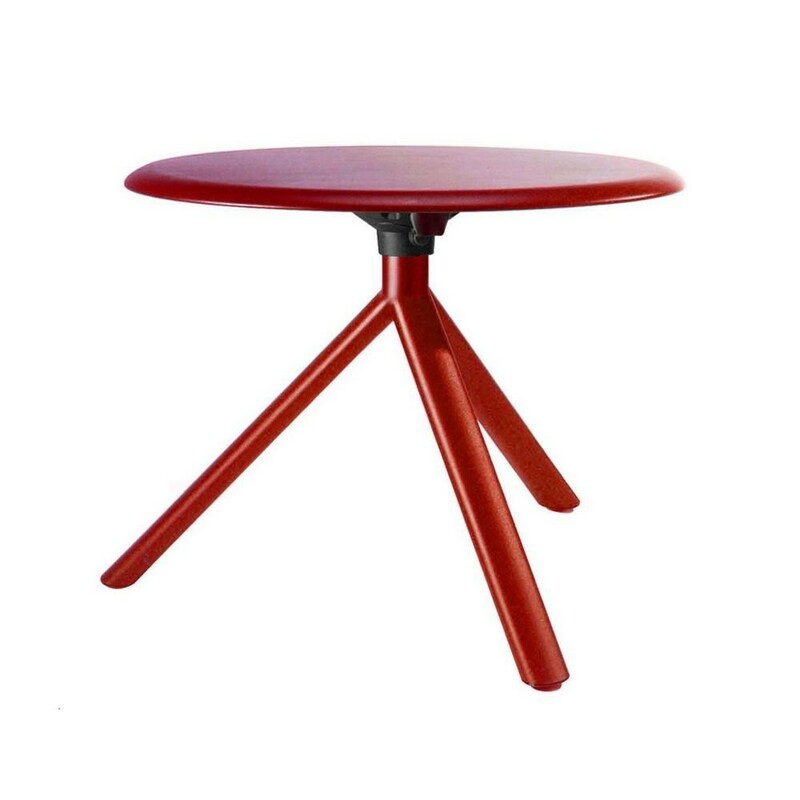 The table top can be made of metal (the 60 cm diameter version) and of High pressure fullcolored laminate (MIURA square and 70 cm diameter versions). Both materials are appropriate for external use. 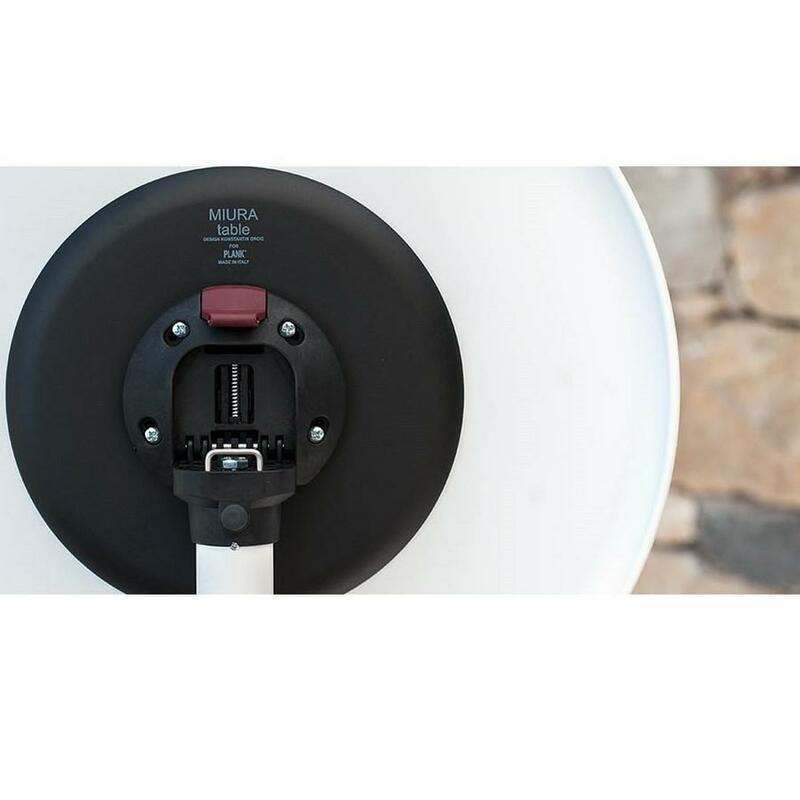 MIURA series also includes MIURA round tables in two more heights and also the MIURA square version. Foldable stackable round coffee table. Available in two sizes in diameter: 60 cm and 70 cm. Diameter: 60 / 70 cm, Overall height: 45 cm, Base Width: 68 cm.